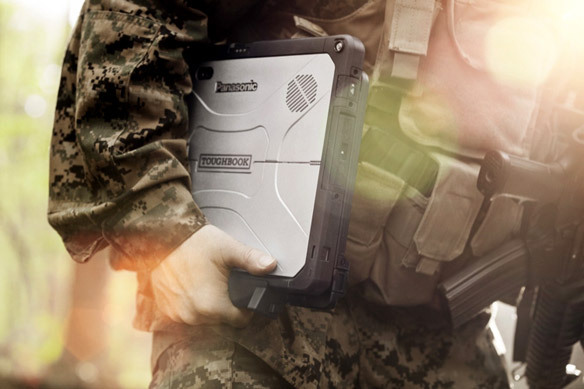 Toughbook computers are built for the world’s toughest users – those who do extraordinary things in extraordinary places. When conditions become impossible, they thrive, and Toughbook is right there with them to get the job done. Toughbook means top notch performance in the harshest environments. Rugged reliability, low cost of ownership and “always on” connectivity are just a few of the reasons why Panasonic has won over the world's toughest users. Toughbook devices are designed and tested to withstand the unexpected—-from bangs, bumps and spills to 6 foot drops and nasty weather. Built to keep performing in the toughest work conditions, Toughbook mobile devices are the top choice for your bottom line. 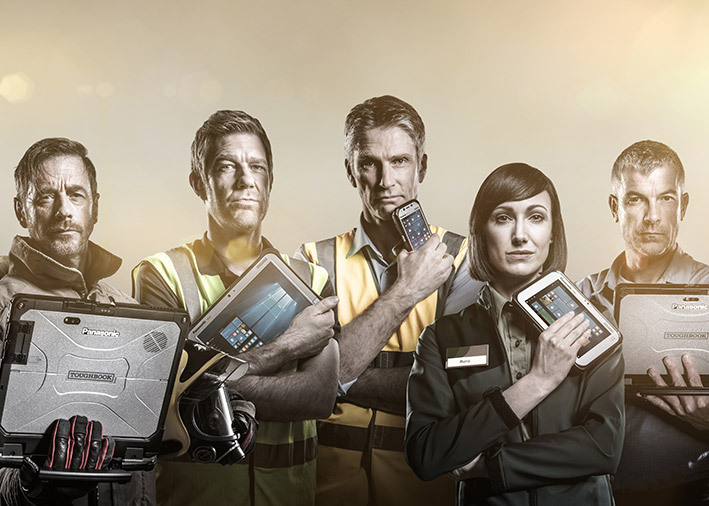 The new Toughbook 33 fully rugged hybrid tablet with detachable screen is as versatile as your job demands it to be. ProServices allows your workforce to realize ultimate productivity anywhere, anytime without interruption. 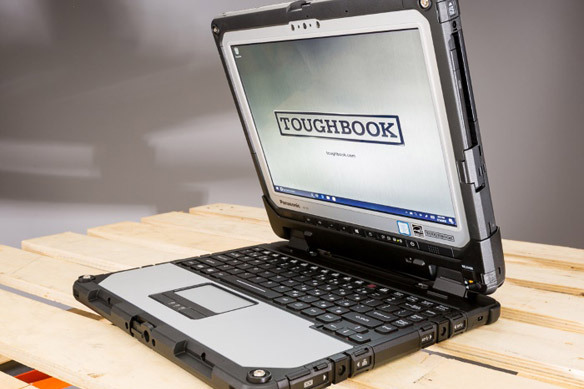 Customize a Toughbook or search by model number from our current configured product offerings. Toughbook devices are designed, built and tested to handle almost any situation-from bangs, bumps and spills, to surviving six foot drops, rain, wild temperature swings and other extreme conditions. From the high quality of our components and our sophisticated manufacturing process to our rigorous R&D testing and extended lifecycle support, we’re heavily invested in making sure every Toughbook solution works without fail. Our quality control begins in the factory. Panasonic designs, builds and tests its laptops and most components in-house. By controlling the entire manufacturing process, we are able to oversee quality, consistency and parts availability every step of the way, from design through delivery, and during the warranty period that follows. 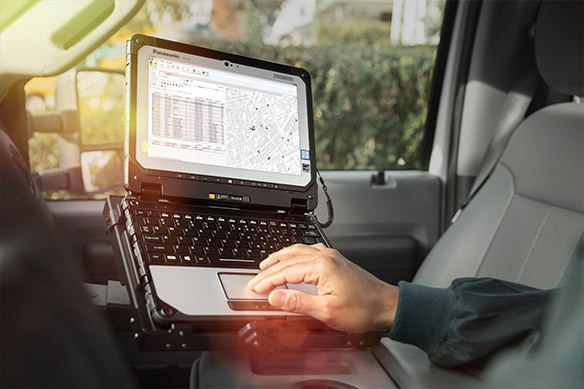 The rugged, reliable design of Toughbook mobile devices ensures long lasting performance, fewer repair expenses and lower failure rates than the average computer. 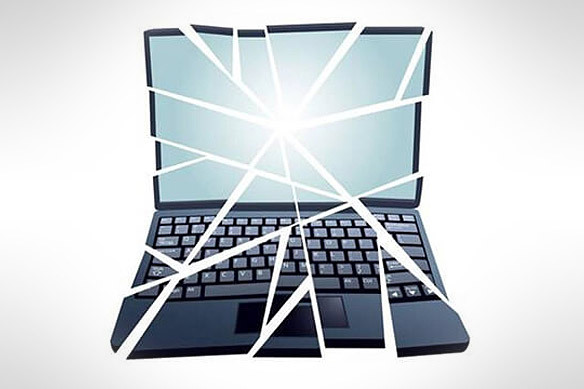 Laptop repairs and excessive maintenance are hidden costs that can often exceed a company’s initial investment as shown in a recent IDC study. That’s why purchasing durable Toughbook devices make smarter financial sense — you get lower total cost of ownership over the computer’s life. The ultimate rugged design in a flexible 2-in-1 form factor: The Toughbook 33 is a game-changer that delivers maximum performance whether used as a tablet or as a laptop with its detachable keyboard. The 12” detachable screen has an infrared camera for Windows Hello support, so you can access your device using fingerprint or facial recognition. Its innovative 3:2 display and size makes it easier to handle and ideal for workers viewing business applications with less vertical scrolling and reduced interference of space when used in cramped quarters such as in-vehicle. With innovative features including an optional long life battery configuration that delivers up to 20 hours, the Toughbook 33 sets a new benchmark for rugged performance in the field. Panasonic ProServices combines the proven durability of Toughbook and Toughpad with our world-class design, manufacturing and support to craft the ultimate tool for your business. ProServices puts you in control to engineer your perfect solution and then customize it to meet your exact business needs. Next, receive expert support from conception to deployment and beyond knowing that you are backed by world-class service and unrivalled warranty options. We know what our technology is capable of, and we want to ensure your business gets the most from it. At Panasonic, we understand how important it is for you to have the correct hardware to keep operations running smoothly. With that in mind, Panasonic is dedicated to providing a tailored solution to fit our customers’ needs. With our extensive range of configurable options you can customize a laptop, 2-in-1 or tablet to your requirements with our configurator tool. You shouldn’t have to compromise mobility and performance. That’s why we engineer Toughpad tablets—to give you ruggedized tools you can trust to get your work done in Toughbook Territory.